Loughborough-based fuel cell specialist Intelligent Energy is leading a pan-European effort to develop an automated mass manufacturing method for automotive fuel cells. The €3.5 million EU-funded DIGIMAN programme, which also includes French research group CEA Tech-Liten, WMG and Toyota will focus on creating a robust platform for future stack production for zero emission vehicles. Representatives from the partner organisations recently gathered at Intelligent Energy’s Loughborough headquarters to kick off the scope of work. The programme outputs will demonstrate operational and supply chain cost reduction via seamless integration of digital manufacturing techniques and advanced technology optimised for automated production. Once developed, the blueprint design will enable build-to-print machine configurations with ready to scale production capacity to meet future requirements of more than 50,000 fuel cell stacks by 2020. Are these hydrogen fuel cells? It would have been nice to know. 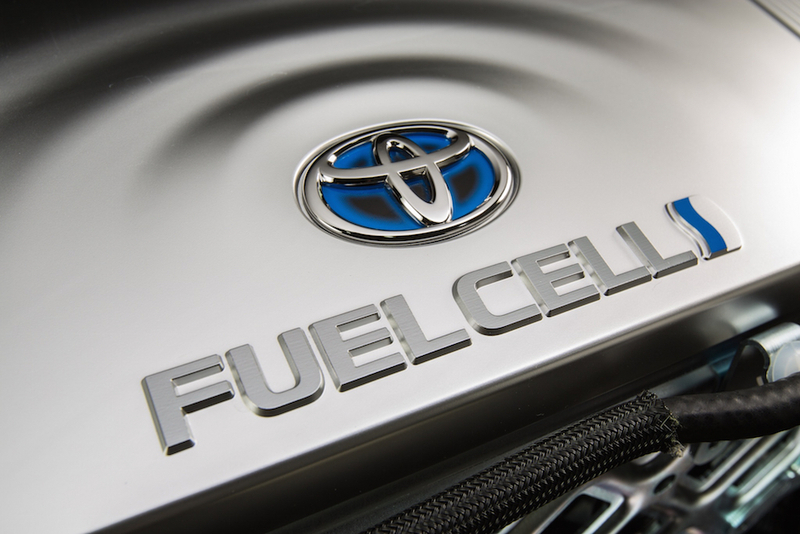 Hydrogen is mentioned twice in the article, including “Hydrogen Fuel Cell” once. Hope that helps. While one hopes that we can make a good job of developing Fuel Cells, I am forced to consider that in the 1960’s when I was selecting a topic for post grad studies, fuel cells were one of the rapidly developing areas for research: the progress over nearly 50 years is not impressive! The “hydrogen economy” was also in vogue back then, but was superseded by the natural gas expansion and forgotten for many years. Plus ca change, plus c’est la meme chose…. approximately. Yes, Eric, they are hydrogen. Some Fuel cell systems are reversible (not the ones in the cars), such that when current passed through them from a source, it is possible to produce high pressure hydrogen – makes setting up a hydrogen fueling station a reality, albeit somewhat more expensive that bulk hydrogen from a transport truck (made at a refinery). It would not be that expensive to produce hydrogen refuelling stations, incorporating renewable energy, solar and wind turbine methods, I believe the Japanese are already doing this. The technology is there, just needs the will and common sense to do it..
how much of the £3.5 million EU funding is at risk from Brexit?